Lancome has released three new cosmetics. In the Energie de Vie collection you can find: Overnight Recovery Face Mask, Liquid Care and Smoothing & Plumping Pearly Lotion. 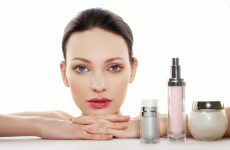 Those products restore and energise skin, making it younger and more radiant day by day. 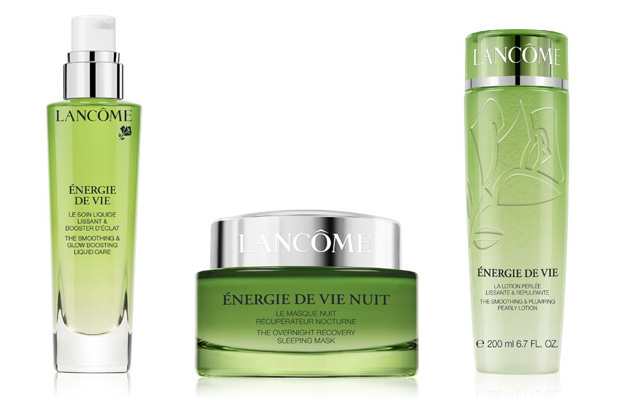 Energie de Vie Overnight Recovery Face Mask from Lancome is dedicated for skin care of all skin types. It consists of moisturising, smoothing and lightening properties. It flattens small wrinkles and lightens discolourations. Refreshes fatigued, dull, damaged by use of wrong cosmetics and mature skin. Thanks to this cosmetic skin is hydrated, firmed and radiant. Face mask should be use twice or three times a week. Thin layer of product apply on face and leave for 10 minutes or tap in with fingertips and leave overnight. Product has a 75 ml/2.64 oz. jar. Energie de Vie Liquid Care from Lancome is recommended for all skin types. It can resolve problem of dry skin, wrinkles, weaken collagen fibres and dark circles around the eyes. During treatment skin becomes hydrated, nourished, regenerated and fresh. How should you use this product? Few drops of cosmetic rub in hands and apply on face. Use systematically in the morning and in the evening. You can easily apply it under eyes. Liquid Care has a bottle with pump and you can choose out of 30 ml/1.06 oz. and 50 ml/1.76 oz. Energie de Vie Smoothing & Plumping Pearly Lotion from Lancome is dedicated for all skin types. It will help mostly those people who by now had no time to fully take care of their skin of face. Thanks to this cosmetic, face will be perfectly smoother, moisturised, refreshed and revitalised. Lotion from Lancome can be used two ways. Few drops of liquid massage in clean skin and leave to absorb. Other method is to soak cotton pad with product and wipe face with it. Cosmetic has 200 ml/7.04 oz. bottle.